Cape Point South Africa is one of the most spectacular features along the entire South African coast, maybe even of the entire African coast. Jutting like a rocky knife into the Atlantic Ocean, its cliffs are plunging more than 200 metres into a churning white sea. Situated at the most southern tip of the Cape Peninsula South Africa, Cape Point lies close to the Cape of Good Hope, about 2,3 km east and a little north of it. 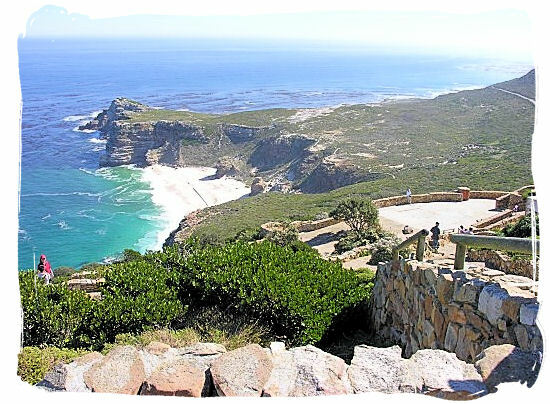 Together with the Cape of Good Hope Nature Reserve in which both are situated, the two promontories are part of the Table Mountain National Park. 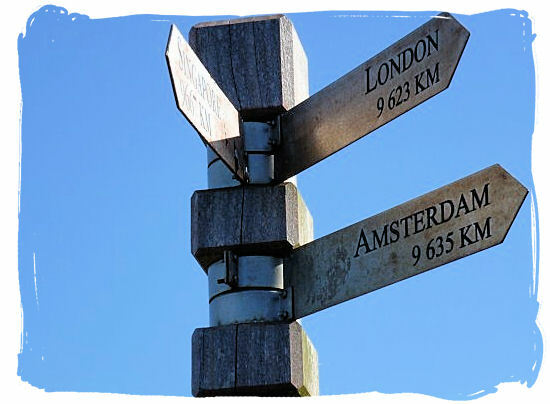 Contrary to what many visitors are inclined to think, neither one is the southernmost point of the African continent. That is Agulhas, which lies more or less 150 kilometres (90 miles) towards the southeast. 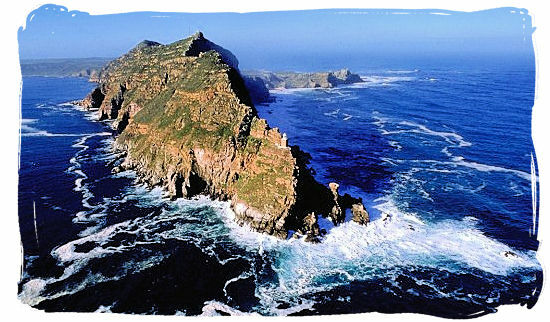 Its unique Cape Floral Kingdom, together with its extraordinarily rich, varied and unique fauna and flora, steep slopes, rugged cliffs, sandy flats and spectacular scenery, makes Cape Point an unforgettable experience. That is however not Cape Point's only appeal. Internationally It is also a subject matter of great historical interest for its rich nautical history. Together with the "Cape of Storms" named by its discoverer Bartolomeu Dias in 1488, "Cape Point" was regarded with great respect by mariners since way back. On the one hand it was a very important navigational landmark especially during the day, while on the other hand it often turned into a menace beset by raging storms, hazardous rocks and bad visibility. Through hundreds of years many shipwrecks have accumulated all along the coastline. 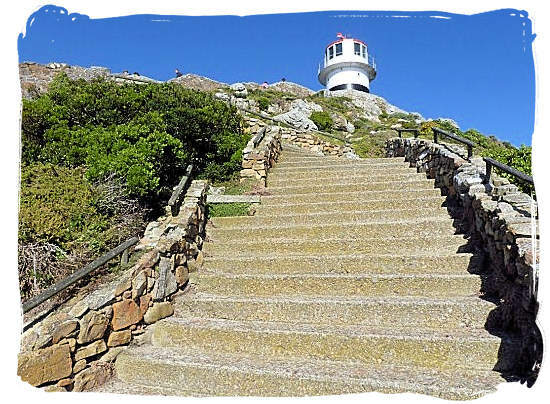 The big drawing card of Cape Point is the breath-taking panorama of the southern seas that visitors can enjoy from the viewing platform on its top. There are two ways of getting there the one is by climbing a series of flights of steps, the other one is taking funicular railroad car that runs from the station at the car park to the top. The viewing platform is built around at the foot of the old lighthouse, which was built around the 1850s. It proofed to be built in the wrong place however, because of the prevailing fog conditions at that spot, making it invisible for shipping. It also could be seen too soon by vessels coming around the Point on their way to the east, causing them to come up too close. The new lighthouse that was built closer to sea level is the most powerful on the South African coast, boasting 10 megacandels per flash, visible for 63 kilometres.